Winnats Pass. Picture by Rob Bendall. A cyclist who did a u-turn and caused a collision with a motorcyclist has been ordered to pay £300. 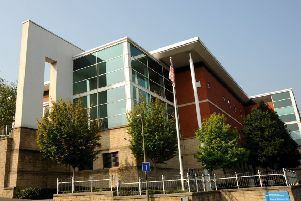 Chesterfield magistrates’ court heard on December 20 how Eleanor Kelly, 23, of Seafield Road, Friars Cliff, Christ Church, Dorset, at the top of Winnats Pass, at Castelton, when the collision happened on August 5. Ruth Snodin, prosecuting, said the defendant did a u-turn which caused the collision and the complainant suffered an injuries. Kelly pleaded guilty to riding a bicycle without due care and attention. Serena Simpson, defending, said Kelly said she checked but there must have been a misjudgment in the speed of the motorcycle. Magistrates fined Kelly £185 and ordered her to pay £85 costs and a £30 victim surcharge.